Features of Sberbank's mortgage "Young Family"
Buying an apartment is the dream of thousands of young spouses,Who hope to start a family life on the solid foundation of their own homes. Mortgage lending for the purchase of housing often becomes the only chance for young people to have a cozy home for a pregnant wife or children who are already growing up. And the sooner such a chance arises, the better for the close ones - the narrowness, contrary to the proverb, often leads to resentment, not to mention the sanitary and hygienic norms. In different cities of the CIS countries the norms of the area are different, but the situation when you and your children have to huddle 10 square meters per person can and should be corrected. Lending housing by the state on concessionalConditions can be beneficial, because the treasury pays for the user of the mortgage almost a third of the amount of debt. However, in practice it is very difficult to get a state loan, given that the program has the principle of a queue. The couple risks missing out on their youth, waiting for a time when they can take advantage of a preferential loan for housing. Mortgage for young families as a specialA credit product or an additional line exists in some non-state banks. Determining which bank is better to take a mortgage, look for not only a loan with the lowest interest, but also the possibility of expanding the program at the expense of special conditions, which is the fact of the young family. For example, Sberbank issues loans for housing for a certain program, but if you have an age and marital status, you will get beneficial flexible changes to the contract. Take advantage of Sberbank's mortgage can the family, inWhich one of the spouses is younger than 35 years old at the time of the contract (state offer - up to 30 years). Also considered options for single-parent families, while the only parent with children, a young mother or father, should be between the ages of 21 to 35 years. Unlike the state program,A co-borrower can make parents of young spouses - one or both. Since the loan amount depends on the amount of earnings, the contract with the co-borrower increases the solvency of the client and, accordingly, the possibilities for maximum loan amount are growing. 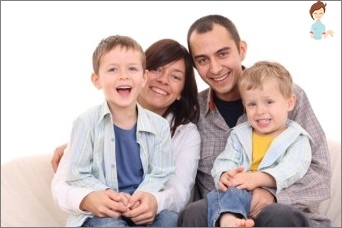 The mortgage agreement "Young Family" 2014 takes into accountCircumstances of customers' lives. For example, if a loan is issued for individual construction of a house, then you can take advantage of a deferral of payment of the principal amount to 2 years. But interest on the loan will still have to be repaid. Similarly, you can apply for a credit holiday on the occasion of the birth of a child for a period of 3 years. Interest, as in the previous example, to repay the mandatory plus the loan period is extended by 5 years. In 2014, the first installment of a mortgage on a young family is not 15, but 10%, provided that the couple are not childless. The term for which you can apply for a loan inMostly is 15 years, but this condition can be changed to 30 years. The main thing that the bank focuses on when making a mortgage is the solvency of customers and credit insurance. For your part, prepare as carefully as possibleAll documents and certificates, indicating your income. The more sources you can confirm, the better. But with one you will get a good chance, if your certificate will show a picture of a stable, and better, at least a little growing income, for example, over the past 12 months. Carefully study the composition of the payment of your future loan. Perhaps the percentage suits you, but the insurance is too high or the initial payment does not justify your expectations. Mortgage for young people has not yet been put on stream (and it is unlikely to happen), so you can easily suggest the bank to make some changes to the terms of the contract. Of course, the chance to significantly reduce the amount is small,But something quite possible to save. Do not be afraid to be insistent, because you have to repay this loan for many years "both in sorrow and in joy," so use the situation as much as possible in your favor. Sign a contract, get a loan, use it for the intended purpose. When choosing a variant of the contract, take into account that the most attractive interest is expected from you in financing a secondary housing or a housing cooperative under construction. With the independent construction of a suburbanHome or refinancing of an existing loan project, there are some advantages: a down payment of 5%, an agreement without commissions, etc. Before making a choice in favor of any proposal, well weigh all the pros and cons and only then you will inevitably succeed!